Carfax two previous owners, shows NO accidents, is well serviced and fully inspected. 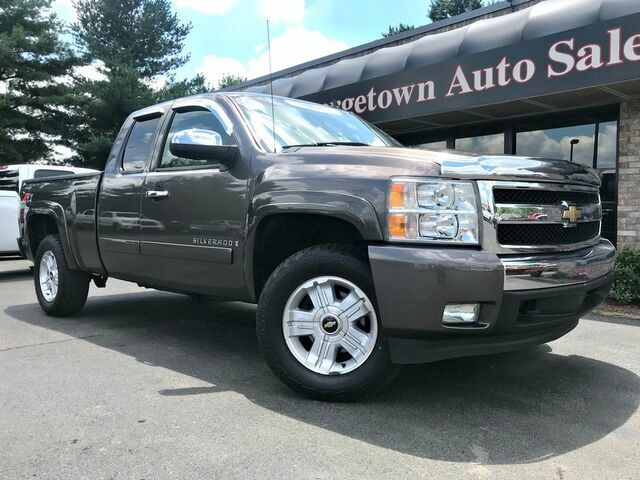 This Z71 Silverado is in excellent condition not just for its age, but as if you were comparing to a new truck. This is one of the nicest 07 trucks we have ever had. Welcome to Georgetown Auto Sales! We have been open since 1994 and going on 25 years in business with the same ownership. We are as transparent as possible. We strive ourselves on taking a large amount of pictures and video of our vehicles so you know exactly what you are looking at when you get here. Call for a personalized video. Visit us online on google, facebook or cars.com to see our large amount of reviews. We want you to know about us and how we do business. Give us a call at 502-863-1347. Mirrors outside heated power-adjustable Black manual-folding (Upgradable to (DL3) outside heated power-adjustable power-folding mirrors or (DPN) outside vertical camper mirrors. 2006 GMC Sierra 1500 SLT 4x2 Payment Plans available!